The view south from Highland Bowl shows the low snow level so far this season in the backcountry. That threatens to create a weak base layer and elevate the slide danger as the winter goes on. Avalanche-awareness proponents are hopeful that education efforts are paying off by keeping people out of harm’s way even though winter backcountry use is soaring. Eighty people were reported caught in avalanches last winter in Colorado. One person was killed. In contrast, 42 people were caught in snow slides in winter 2015-16 but five lost their lives, according to an annual report issued this week by Colorado Avalanche Information Center. Last winter will be best remembered for the slide cycle triggered by copious amounts of snow during the first three weeks of January. Up to 13 feet fell in some parts of the state. “We saw avalanches hit highways and close roads. 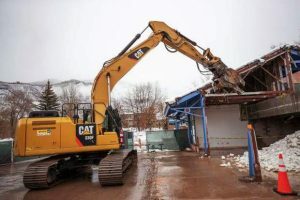 We saw an avalanche destroy a building in Summit County and we saw ski areas close because of too much snow,” wrote Aaron Carlson, executive director of Friends of CAIC, a nonprofit that raises funds for the center and awareness for its safety programs. “Unfortunately Colorado had one avalanche fatality. One fatality is too many,” Carlson wrote. “That being said, the avalanche fatality trend continues to decrease even as backcountry use skyrockets. “Our program and our partnerships are working and saving lives,” he concluded. 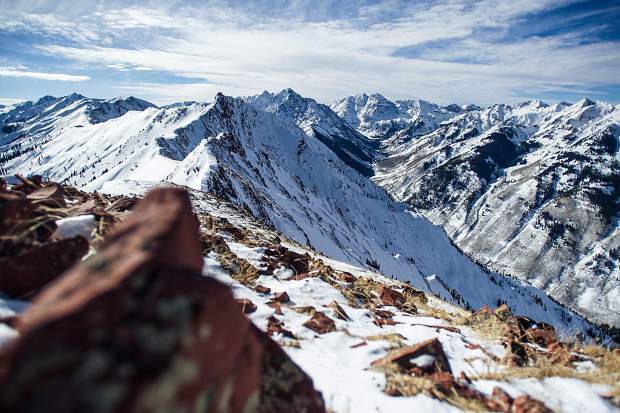 CAIC educated 7,099 students in 158 avalanche education classes last year, including one in Aspen. CAIC forecaster Blase Reardon teamed with Mountain Rescue Aspen to present its annual avalanche awareness workshop in January. Friends of CAIC raises funds that help the center present those classes and provide its reports. 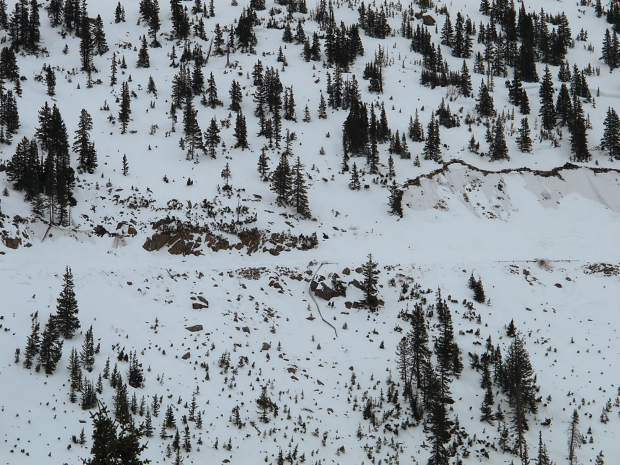 There were 2,500 avalanches reported or observed statewide in 2015-16. That number soared to 2,977 last winter, the annual report said. The Aspen zone had 385 reported or observed slides last season compared to 336 the prior winter. Last year was unusual because of the “crushing snowfall” in the first three weeks of January, the CAIC report said. That replaced one set of problems — an eroding base layer — with other treacherous conditions. “The fire hose turned on just before the New Year, covering up all of our old problems and bringing a few new ones,” the report said. “January was one of the snowiest months since the start of CAIC in 1973. The avalanche center documented 66 slides that involved people. Nine people were completely buried, leading to the one fatality. “The number of people caught in 2016/17 is close to the 10-year average, but the number of people killed was the lowest since 1997,” wrote CAIC director Ethan Greene. 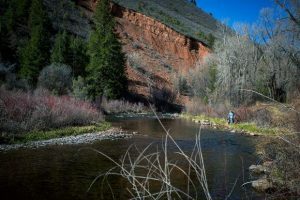 That is a remarkable statistic considering more people than ever are venturing into the backcountry, the report noted. 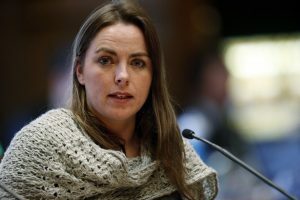 “We hope that our efforts helped everyone that was recreating in the Colorado mountains and contributed to the 8 accidents where people were found alive and could return to their loved ones,” Greene wrote. This winter, the low snowfall threatens to create a weak lower layer that will be prone to sliding once it starts snowing, the avalanche information center said in its recent report. 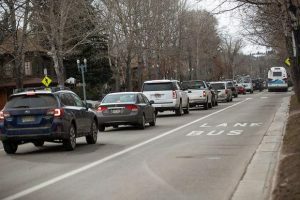 “Be prepared for changing conditions at the end of the week,” the report said in anticipation of snow starting Wednesday night/Thursday morning. The avalanche information center will provide forecasts and report field observations throughout the winter. Its website is at http://avalanche.state.co.us/. Friends of CAIC take donations at https://avalanche.state.co.us/donate/.